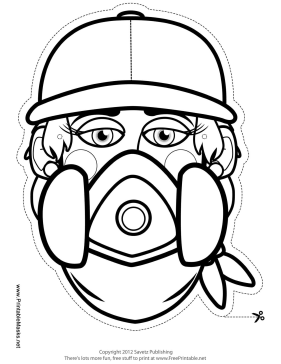 You can color in your own graffiti artist girl mask using this handy outline! Give her hat and bandana a fun decal for a truly custom mask. This mask is free to download and print.